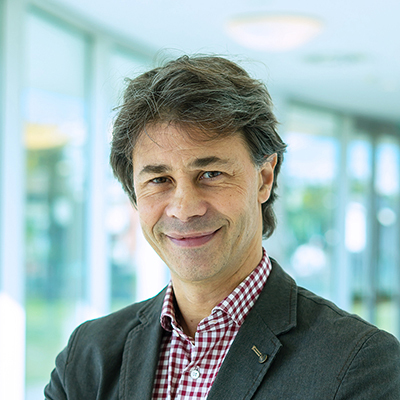 Paulo Ferreira is currently the Head of Department of Advanced Electron Microscopy, Imaging and Spectroscopy at the International Iberian Nanotechnology Laboratory (INL), Portugal. He is also a Full Professor in the Department of Mechanical Engineering at IST, University of Lisbon, Portugal and an Adjunct Professor, Robert & Jane Mitchell Endowed Faculty Fellowship in Engineering in the Materials Science and Engineering Program at the University of Texas at Austin, USA. Before joining INL and IST in Portugal, he was Robert & Jane Mitchell Endowed Faculty Fellowship in Engineering and Full Professor at the University of Texas at Austin, USA and the Director of Electron Microscopy at the Texas Materials Institute at the University of Texas at Austin. He has a PhD in Materials Science and Engineering from the University of Illinois, USA and has done his Post-doctoral work at MIT in Materials Science and Engineering. He concentrates his scientific research in the areas of Nanomaterials, Nanotechnology and Electron Microscopy applied to Alternative Energy Technologies. At the educational level, he teaches graduate courses in Nanomaterials and Nanotechnology, Structure and Electron Microscopy. In parallel, he has been involved in initiatives with various American and Portuguese institutions in the areas of Education and Higher Education, Systems of Innovation, and Science and Technology. He is a co-author of three books, namely “Materials 2000”, IST Press, 2003, “Investing in the Future: University-Industry Collaborations in USA and Portugal”; and “Nanotechnology for Architects, Designers and Engineers” with co-authors D. Schodek (Harvard University) and Michael Ashby (University of Cambridge, UK). He is also the author of 177 scientific articles published in international journals and conference proceedings. Prof. Ferreira has also acted as a special advisor to the Minister of Economics and Innovation, Portugal, on Government Strategy for Science & Technology. Carbon-Based Supercapacitors Produced by Activation of Graphene.